A one of a kind gift for dad. 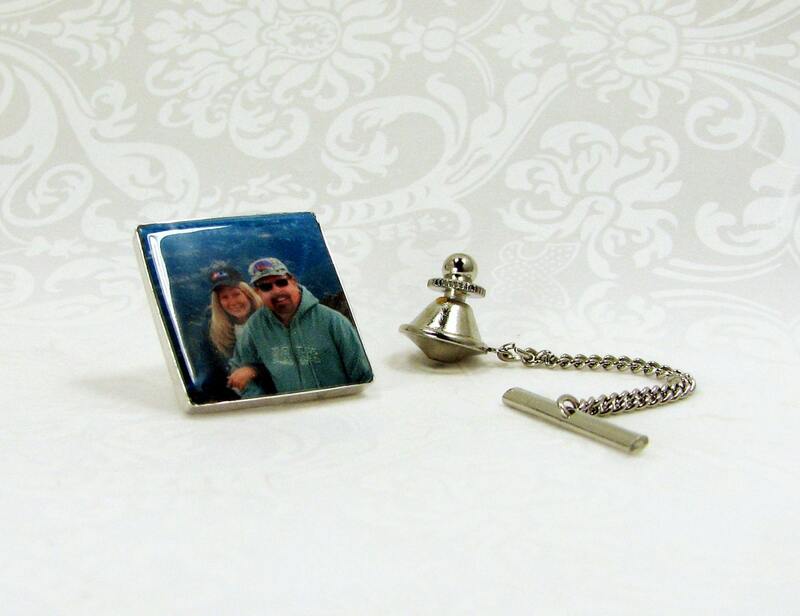 This heirloom quality tie tack has a photo tile set in a highly polished sterling silver frame. 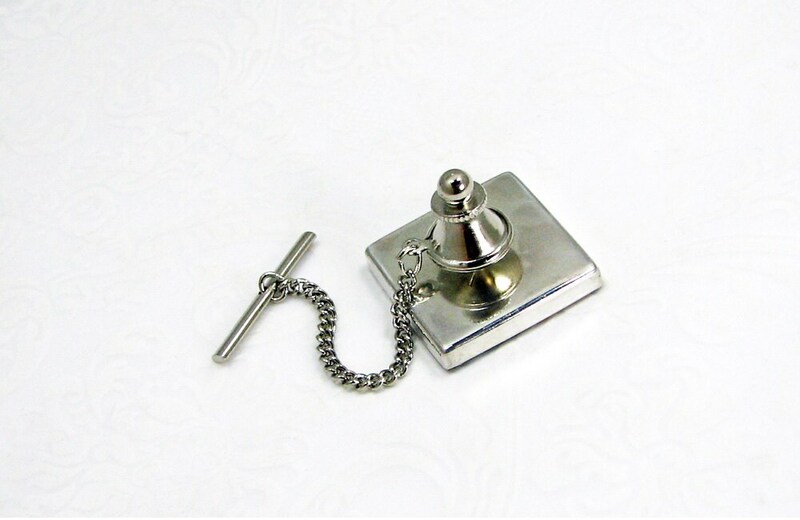 It has a brass (nickel-finished) deluxe low-profile clutch with attached bar & chain. 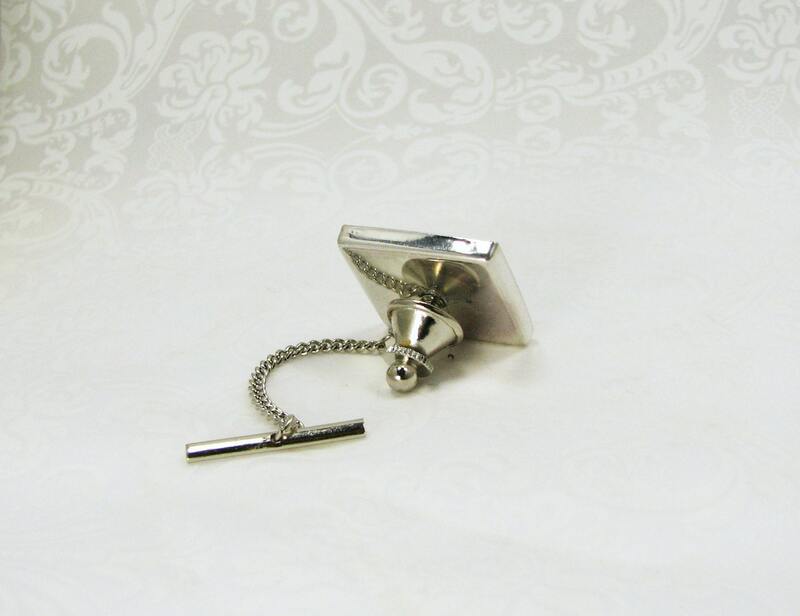 It measures 20 mm across, and it is also available in a 18 mm round shape by request. A classy gift for anyone. 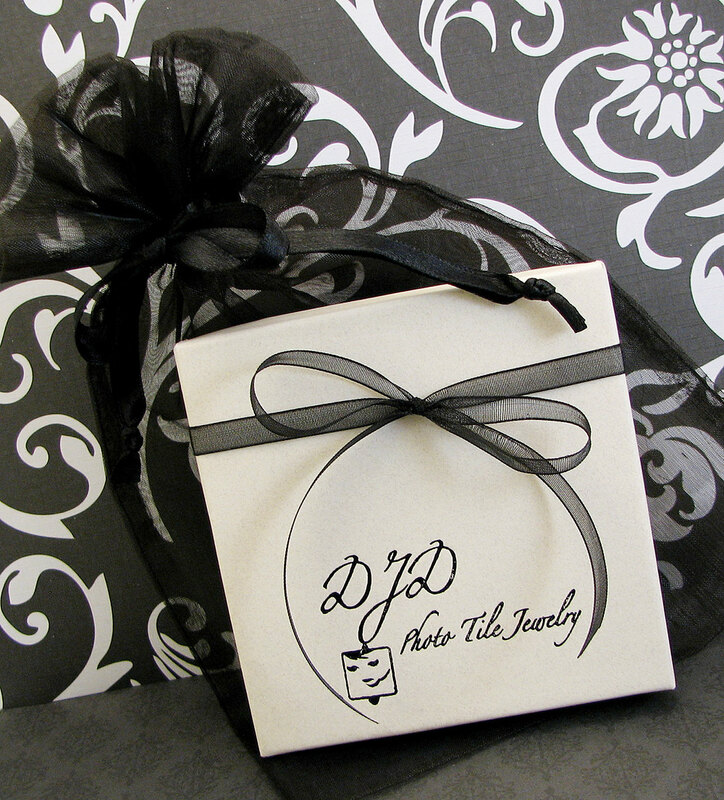 Once you place your order, email your image(s) as an attachment to DJD [!at] Q.com. If you want to work with a photograph instead of a digital image simply email me for mailing instructions. You can use two images, or request a custom text image at no additional cost. Just include your desired text with your image. 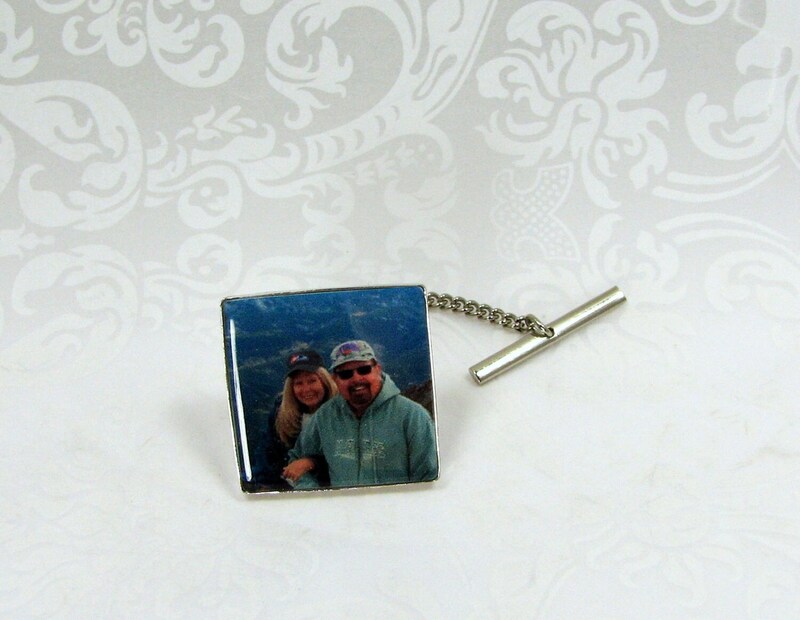 For special handwritten notes, messages, or cards, if you can photograph or scan it, I will do my best to preserve the important parts for you in a photo tile. Your order will ship USPS Priority Mail in 2 to 3 weeks from the day you approve your image crops (longer during peak wedding & holiday seasons). Please let me know if you are working with a deadline and need your order faster; Rush Orders and Express Mail are both options.